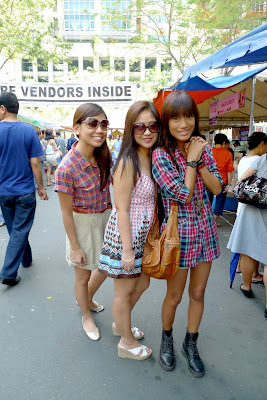 Went to Salcedo weekend market at Salcedo park last Saturday. I had lots of fun! :) Well, if it wasn't for the unbearable heat, life would have been so perfect. Blech. Eating my favorite popsicle from Picole. Yeah, I was in wonderland. Can't wait for our next food adventure!